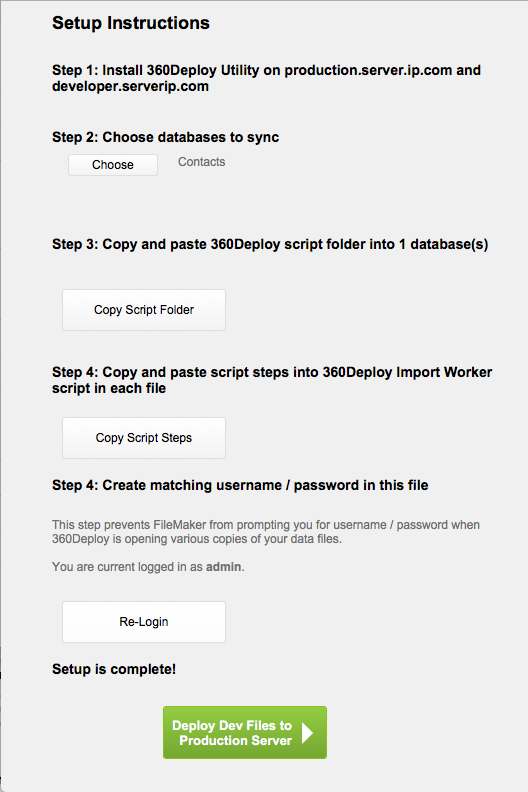 #Install the plug-in in the FileMaker client from which the deployment will be triggered. ** Populating IP addresses and account credentials for both servers. ## Populating IP addresses and account credentials for both servers.